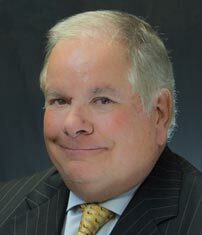 As a top litigator in complex business disputes, over the past 35 years Michael FitzGerald has been recognized for his success in the courtroom. He has tried over 75 civil trials and has handled a number of high profile cases. His practice covers unfair competition, partnership shareholder disputes, product liability and consumer litigation. Mr. FitzGerald’s representative defense victories include securing a dismissal of the infamous “Lucky 7” case, seeking over 75 million dollars in one of the largest lottery lawsuits in the country as well as a successful settlement in 2014 of over 7 million dollars against an Orange County hi-tech company. Mr. FitzGerald’s representative plaintiff achievements include a jury verdict of over $6.5 million in an unfair competition contract dispute on behalf of a media company based in Orange County, along with several notable recent achievements including the recovery of over $4 million in a complex shareholder derivative claim against a major U.S. manufacturer. University of San Francisco, San Francisco, California, 1976 J.D. Current director, and former president for the Irvine Chamber of Commerce, Irvine, California. Instructor for Trial Practice, Orange County Bar Association, California.